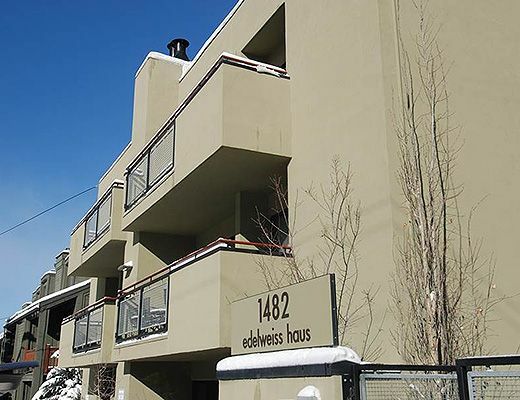 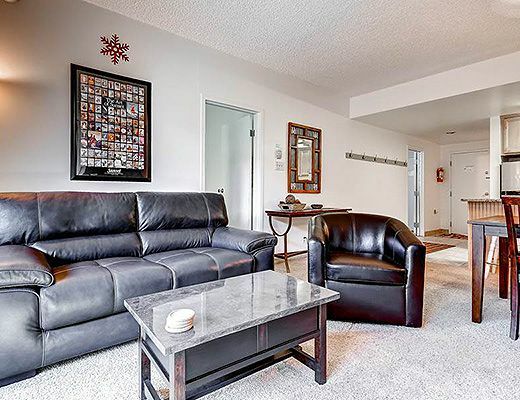 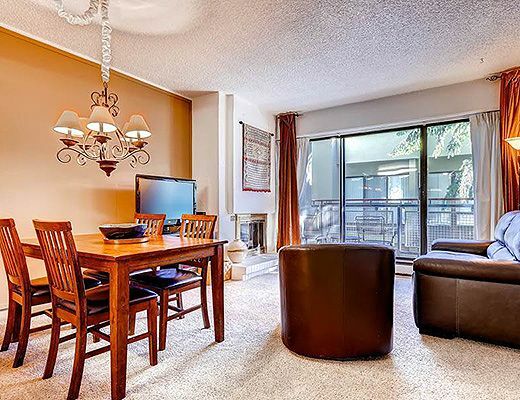 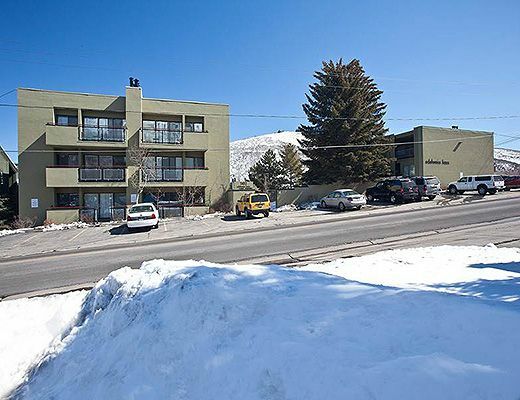 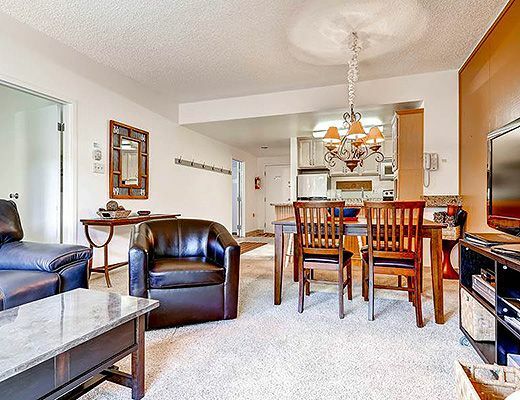 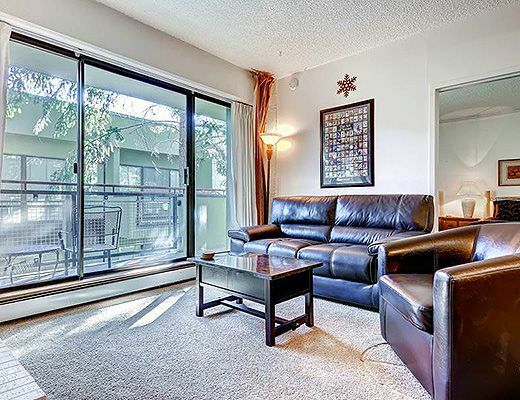 Located on the free shuttle route and just steps to Park City Resort, the close proximity makes this condo a family- favourite. 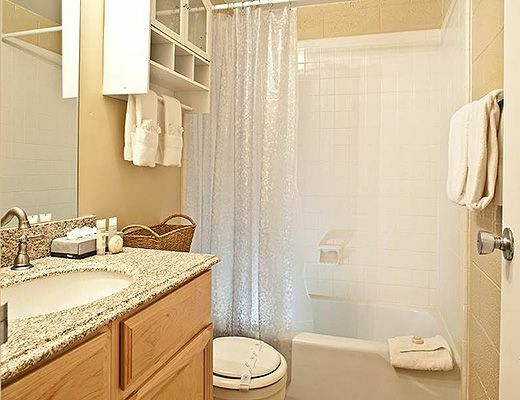 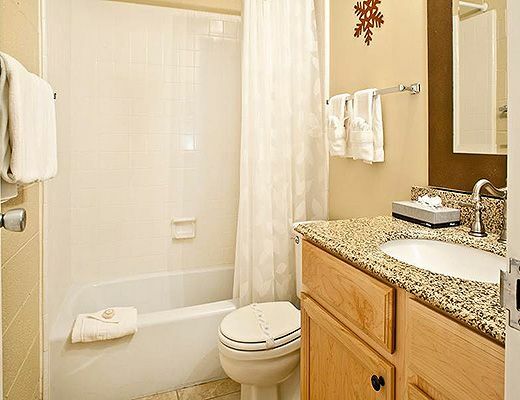 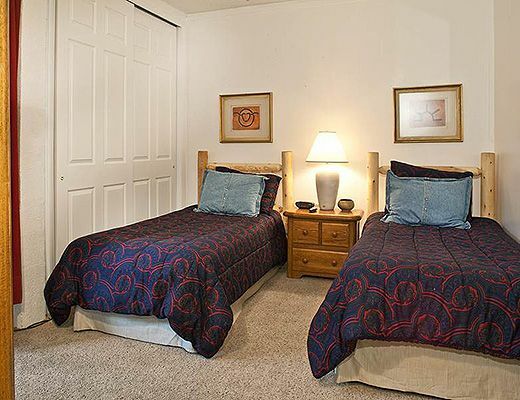 Tastefully decorated, this rental accommodation provides guests with access to a common pool, hot tub and sauna. 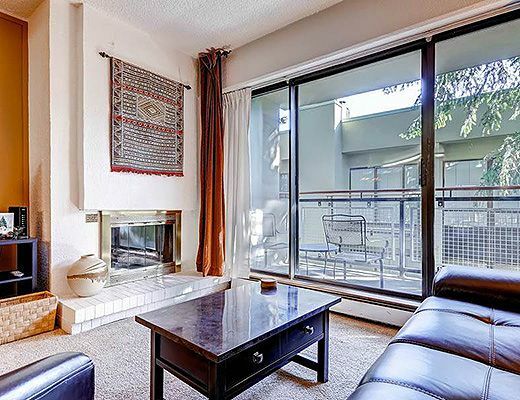 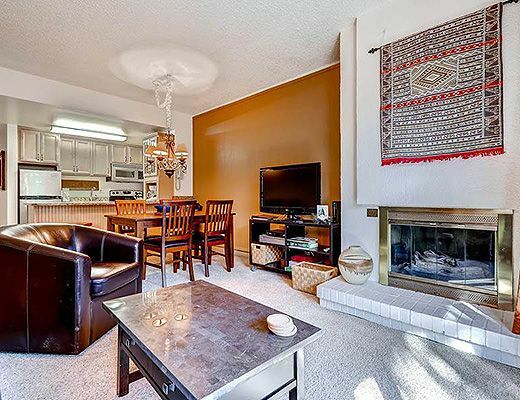 With a cozy layout, this two bedroom silver-rated property features a contemporary dÃ©cor, relaxed furnishings and a unique rustic-inspired fireplace. 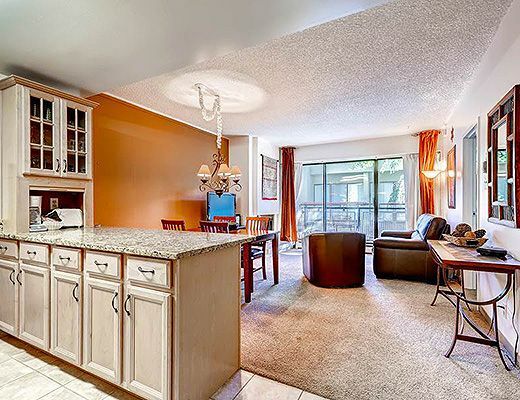 The modern kitchen provides guests with all of the comforts of home including ample space for storage and meal preparation. 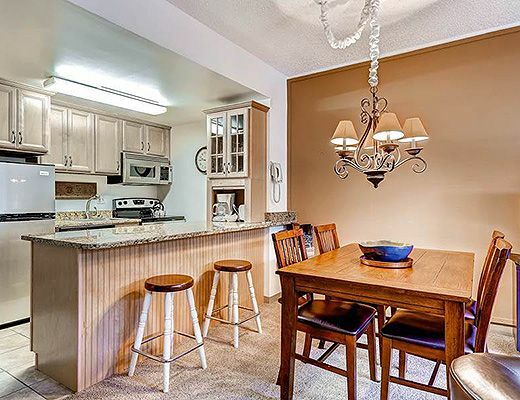 The convenient breakfast bar offers an informal dining option. 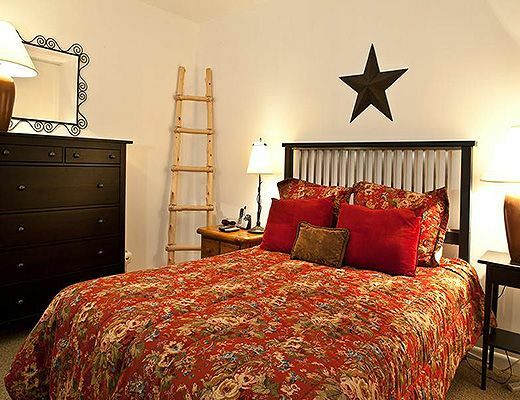 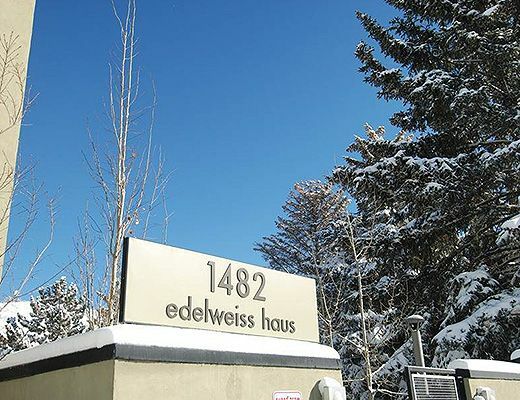 The location and amenities of this charming property promises to be the ideal setting for your ski vacation.